Before this visit, we had some email communication already regarding the project designs of aluminum expansion joint covers and aluminum entrance mat. So the whole meeting is going very well. 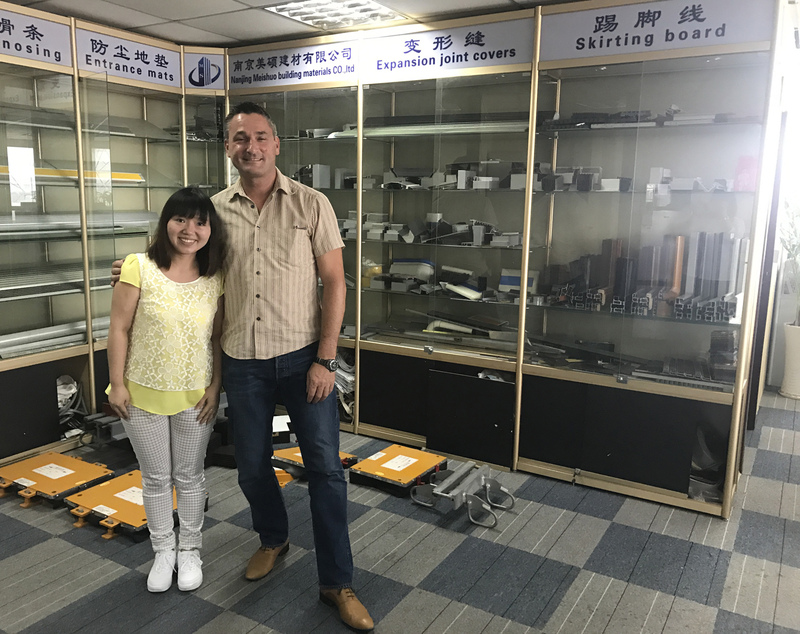 After checking lots of samples in our office and production in the factory, customer is very satisfied with everything. Especially we have showed our entrance mat with customized logo with different colors. We believe in near future, we will have more cooperation.